In the fast-paced world, manual handling of the business process is not only challenging but also tricky. Be it the organization of 50 employee size or 1000 employee size, employee maintenance is one of the crucial challenges that every business face in common. You might be thinking what difficulty or challenge comes into play in managing employees, as everybody in the office is a full grown human being, who acts pristine in their jurisdiction of work. To an extent it’s true. However, to keep everything in control, to become more organized and structured, the business organizations need to run an extra mile in employee management. It triggers a heavy investment of patience, skill, and expertise for showcasing the best result in terms of productivity and employee engagement. Today the business organizations are really conscious with their employee management tactics and techniques, so as to keep them safe from drowning. They understood the importance of adopting the latest technologies in the market, so as to keep their business safe and secure, also to keep them firmly positioned. They find the conventional management tools like paper forms, emails, excel sheets no more aid them in surviving in the competitive world. The chance of successful and long survival is pretty low using traditional management techniques. Therefore many businesses is making themselves immune to disasters like legal complications, resource crunch, payroll mishaps etc. via adopting new employee management technologies and procedures in their business set up. One such major adoption in the business set up is the automated leave management system. Today many industries are into the adoption of automated employee management system in order to enhance their productivity and employee engagement. They are into revamping their old procedures of handling and managing of leave request via mail and other paper forms as this comes along with several challenges like missing of leave requests from the large volume emails or paper piles, failing to mark the employee absence, timely addressing the matter and more. Here the HR professional keeps jostling around excel sheets to figure out the employee leaves and their leave balances. It is seen that even the commonly-used Google forms are inefficient in handling the leaves. The distorted data obtained through these tools are of no use to the business rather than eating away the employee productivity and efficiency. These tools fail in obtaining the right insight to employee engagement and their attendance, thus fail in staying clear with the administrative arsenic, payroll mishaps, legal complication and more. On the other hand, an automated leave management system can help the business in large via streamlining a major set of activities related to employee leave management. Let us see the benefits of automated leave management system in a business. Let us see how business can profit from leveraging the application. As every information under the system is automated, there comes no fear of getting your data lost or misplaced. Here every information will be stored in the cloud so that it can be accessed from anywhere on any device. The software helps in easy accessing of the information from any place across the globe. It helps with the management in accessing the employee attendance records and thereby approving the leave requests. Meanwhile, the employees get notified on their approval/rejection of leave requests and can also track holiday accrual, leave history, etc. As said prior, there is no mismanagement in leave request or its approval. Employees can timely requests their leave taking care of the availability of co-workers, the deadline of their projects, leave balance and more. Every data pertaining to the employee leave will be stored in the database and using those, the employee can forward his/her request to the boss. Meanwhile, the boss can use the very same set of information to approve or reject the employee request forwarded by the representative. Thus both parties can keep in track of each other actions. Unlike in the early scenario, there is no chance of any human error in the automated payroll management system. Every information gets timely recorded and automated in the system so that the administrators can blindly trust and retrieve the employee to leave information for their payroll calculation. The details like no of leaves taken, hours of work, balance of casual leaves and other adjustments, everything will be clearly laid in the system in order to calculate the payroll. When following the paper forms and emails, there exists a chance of alterations and faking of records. Often people indulge in the practice of changing the leave records so as to save their salary and other personal interests. However these, alterations aren’t possible with automated leave management system as everything is automated. Apart from the benefits, one must also need to understand what the essential features that an automated leave management system should encompass with. An all-in-one dashboard enables the employees to see their leave parity and check their colleagues' days-off while applying for leave. Bosses and HR will get access to representative leave balance, holiday records, office calendar, and workforce inclusion to assess leave requests better. Strategies and systems keep changing from one association then onto the next. Astringent leave management framework with 'one size fits all mantra' may not suit your necessities. Search for an item that gives your staff a chance to tweak the fields to accommodate your association's arrangements. 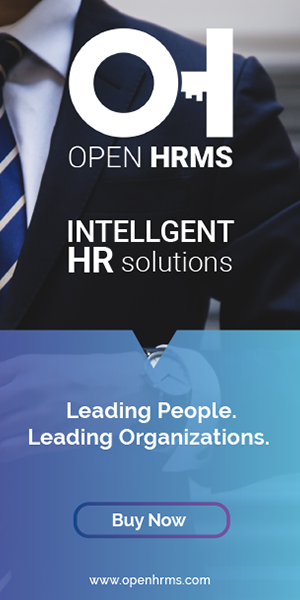 An open-source HR software will help you to configure the system in accordance with your association desires. A cloud-based automated leave management system won't just offer multi-channel, in a hurry get to, yet additionally, evacuate bothers like programming establishments and updates. Your workers can apply, affirm, or dismiss leave demands from any place whenever. Acquiring a leave the executives programming is futile if your HR staff needs to figure and refresh the leave balance of your workers physically. Your leave management system must track the left history of all things considered and display them to both workers and their directors. You should almost certainly make adjustable work processes and set up an office insightful progressive system to guarantee a streamlined procedure. When a worker chooses his/her specialization, the pre-characterized work process must auto-populate. Inheritance programming is ancient, obsolete, and makes information storehouses. An item that offers consistent coordination with your other HR Management Software for payroll, timesheet management, and so forth will spare time, wipe out storehouses, and empower cross-utilitarian detailing. Your item ought to incorporate an implicit detailing module that makes intuitive reports dependent on the obtained information. With representative savvy and far-reaching reports, associations can without much of a stretch dissect designs and procure significant experiences.